As stated in past post reading this book has become a new tradition, being of course the second year that I intentionally read this fantastic book an plan to do it , for the foreseeable future, at least once a year. Mary Shelley wrote it as part of a competition of who could write the best horror story, said competition was between herself, her husband Percy Shelley, Lord Byron and John Polidori. 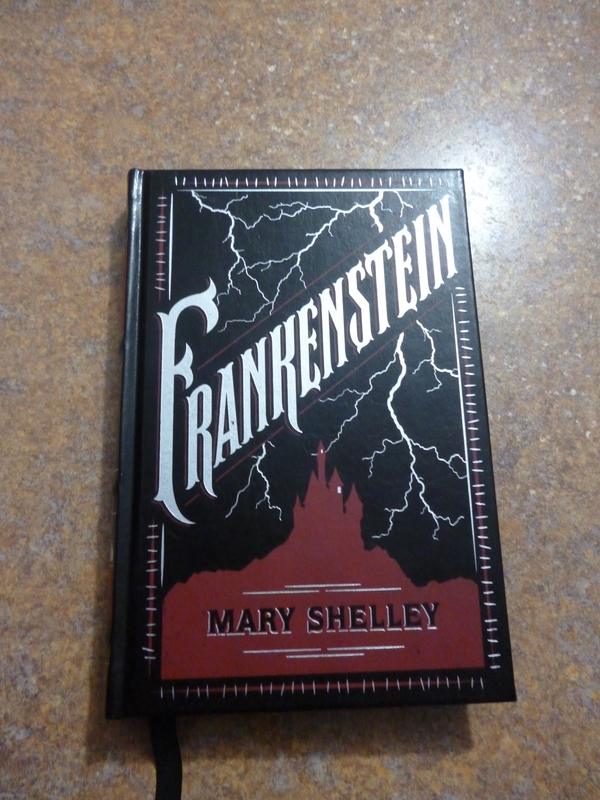 The story that emerged from Mary followed the tragically fantastic tale of Victor Frankenstein and his obsession with bestowing life to a creature form by scraps of dead bodies, that with a spark brings to life. In his success, Victor, creates a hideous deform creature who he resents from the first moment the creature takes a breath. He is later haunted by the very creature he created as his life is systematically destroy and everyone he loves is taken from him. For me it raises question of that troublesome persona buried deep in the dark confines of our being, latent , evil and waiting to get out. Who is the monster here? The Creature or the Creator. So that’s 7,172 pages down, 42,570 pages to go.